Think you need an AC tune up? Look out for these warning signs that let you know to schedule yours. Just like your furnace or home heating system, your AC and home cooling system require an annual tune up to ensure that the system runs smoothly and efficiently to keep you cool during the long hot days (and nights) of summer. The reasons for these warning signs can vary and range from something as simple as rooms or parts of your home getting more sunlight (and heat) than others to home insulation issues, clogged filters and drain blockages in your AC system or lots of other issues. However, most of these issues can be easily rectified by getting your AC system tuned up as soon as you notice any of them occurring. This will also help prevent potentially bigger issues transpiring that could be much more expensive to fix if they transpire compared to scheduling an AC tune up now. If you have noticed any of these warning signs in your AC system or home, it may be time to schedule your AC tune up. 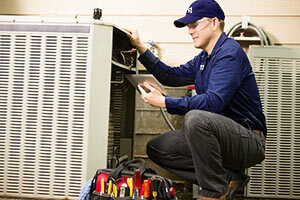 Our professional, factory- trained air conditioning system technicians are experts in the industry. You can rely on our team to tune up central and ductless AC systems from all major brands, including Bryant, Fujitsu and many more. Please contact us today if you think it’s time to schedule your AC tune up.